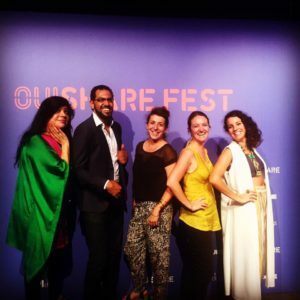 Last month of July, we were invited to the Ouishare Fest to be part of a panel on gender and urbanism with Eman Karim, from UN Women He for She program, Iman Bibars from Ashoka Arab World, Asmaa Guedira from Womanity and Audrey Noeltner from Womenability. We talked about different solutions from all around the world to ensure our cities are truly inclusive and safe for both men and women. Watch the video of our conversation there or our Slideshare on how to build cities with women in mind !